Five years ago, when I was twenty two and living in Berkeley (and going to bed early from a combination of hunger and sleepiness because I was stupid and lazy and didn’t know how to cook), I knit a tiny Totoro and wrote a cringe-worthy post about it (not even going to hyperlink it because it was that terrible why did i ever think i was funny). And according to twenty two year old (‘wait, laundry costs money?’) me, I posted that Totoro on my short-lived, overly-ambitious, now dusty and cobwebbed etsy, where it apparently failed to sell and spent the next five years in an old shoebox along with a knitted clam that looks like a bra, because that is precisely where I found it when I went home last month. Call it luck or fate (or bad marketing i think i priced that thing at like $30), but I’m glad I still had it because I brought it back with me to Chicago and finally (five years and three square meals a day later) wrote up a pattern for it! My old piano teacher was this stern, Asian woman who used to keep a tiny plastic tray that I had to sweep my eraser crumbs into whenever I erased something on my sheet music, and my sisters and I were so mean because we’d laugh at her and make fun of how incredibly particular and rigid she was. Well, I just knit eight Totoros in the span of two weeks trying to attain the perfect Totorian belly to head ratio, so I guess Fat Cat Goes Down Alley Eating Banana wasn’t the only thing I picked up after twelve years of piano lessons. Because I bought slightly heavier yarn than what I used five years ago, I had to downsize the original design (something i realized only after making the first two fatties #bloatoro). I struggled with proportions and eye placement a bit, and I realized duplicate stitching made things a whole lot easier, and eventually I arrived at a decent likeness to my original that still had enough semblance of the animated character! But wait there’s more! Since I got such positive feedback on my Totoros (sandwiched between ‘where are their ears?’ and ‘why are you still making them please stop this is worse than your kitten phase‘), I decided to keep going and create an entire Miyazaki set, complete with a tiny white totoro and soot sprites: I lucked out on designing the patterns, which sort of fell into place, so I didn’t have to troubleshoot too much or go through iterations of really ugly versions. And since they looked so good together, I decided to collate the three individual patterns into a tome of a document (thirteen pages! ), complete with pictures, diagrams, and color charts. You can download it here from my Ravelry store! Oh yeah. A strange thing happened to me this past month: I seemed to have stumbled into my fifteen minutes of fame (i thought i already had it senior year of high school when I fractured my skull and people thought i died so i won a post-humous environmental awareness award). What started as a random, late-night impulse to knit an eyeball while I ate hummus in my underwear evolved into an entire set of anatomical knits–and people noticed! From alumni newsletters to a front page feature on my university’s website (a week later justin trudeau came to the university of chicago. i’m not saying i caused that, but i’m also not saying i didn’t cause that.) to legit articles like this, masculiknity is getting out there and now I literally have 25x the number of daily readers (okay mom you can stop refreshing my home page on your phone)! I am, of course, taking in this newfound attention with a level head (if i’m not on ellen or fallon or something within the next three months there is seriously something wrong with the world), acknowledging that such a spotlight is fleeting and will soon shift to another young ingénue. 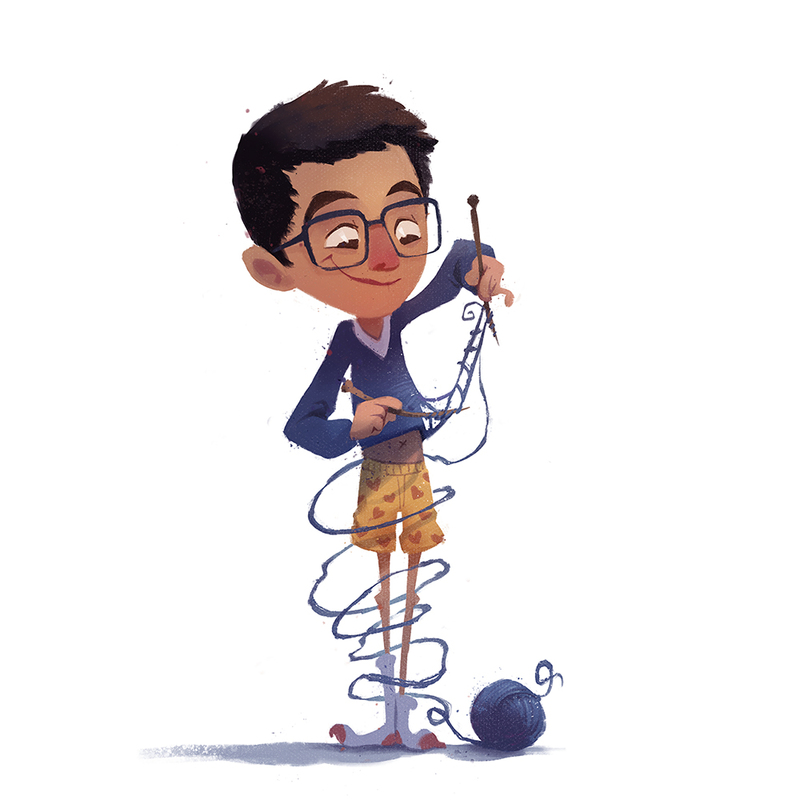 But I also realize that I’m generally pretty poor at publicizing my creations and perhaps I should be using what’s happening right now to my advantage… …which is why I’m doing my very first ever knitted giveaway! And this is not just because my apartment is now overrun by these things (i accidentally swiffered a soot sprite yesterday). Okay, hopefully I’m doing this right: If you’re loving these lil’ doodles and you’re too busy with real life responsibilities to make your own, then check out my instagram (@masculiknity) and tag a couple Ghibli-obsessed friends. A lucky tagger at the end of March will get a complete set (big totoro + white totoro + three soot sprites) and others will get a hodge-podge of characters depending on how much match day stress manifests itself as compulsive knitting. And, if this fails, I will definitely blame @figbar1, who is 50% fig bar and 50% sister and also my marketing consultant (paid entirely in soot sprites) who told me to do this giveaway. Our last business venture together four years ago was designing West Wing-themed totes and has so far produced a single mock-up of Troy the turkey on Illustrator and literally nothing else. So, actually, never mind. Because really anything would be considered a win. Here is the Totoro and friends pattern for those of you who saw all the text and was like nope and scrolled straight to the bottom.